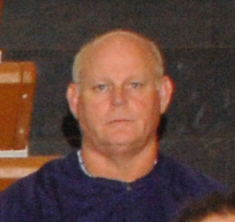 Karl Corbin is the coach for boys middle school track. He has been coaching track for 13 years. Coach Corbin has also coach other sports such as middle school wrestling and football. He got interested in coaching from doing track in middle school and high school. He also participated in football, wrestling, and baseball. Coach Corbin enjoys coaching because he likes teaching and working with kids.